This post brought to you by The Gorilla Glue Company . The content and opinions expressed below are that of Unexpected Elegance. 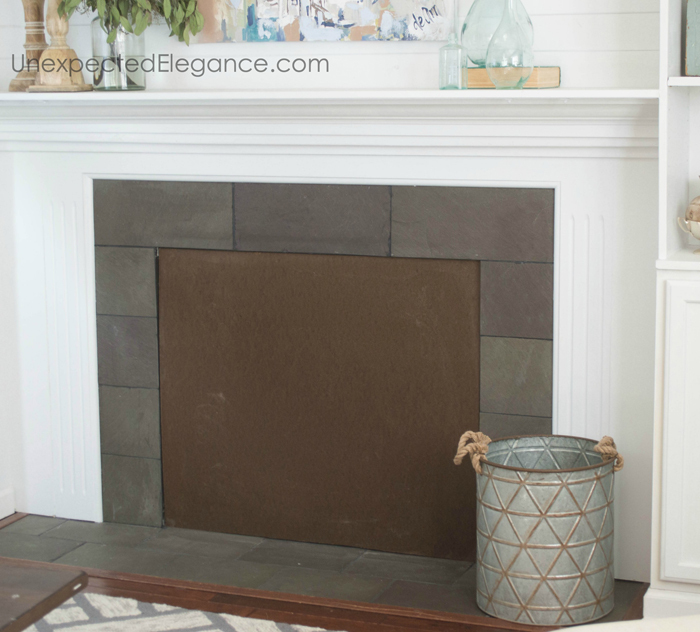 1.Start by measuring the opening of your fireplace. Then cut a piece of masonite or wood to fit snuggly in the opening. (You can also take this measurement to the hardware store with you and have them cut the piece for you.) 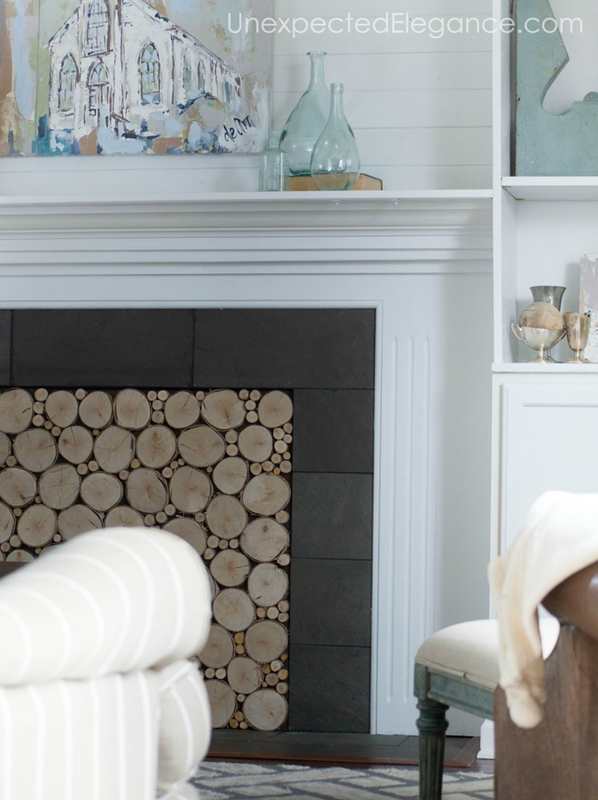 If you are using a light colored wood, you will need to paint or stain it a dark color. You want the background dark, so it just looks like a shadow around the wood. 2. 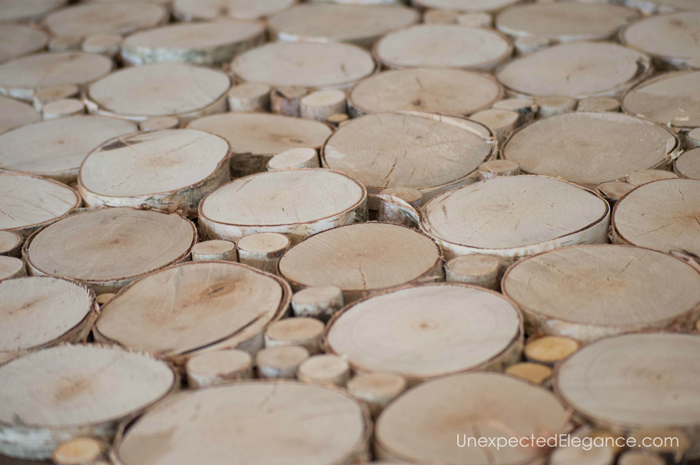 Then start cutting your wood into small disks, approximately 1.5 inches deep. I made a “stop” for my saw using a piece of scrap wood and a clamp, to make this step go much quicker. The stop just lets you know where to cut every time. I’m not gonna lie-this step took a while because my opening was so large. 3. Next, lay out all your wooden disks on the piece of masonite. This is kind-of like putting a puzzle together. 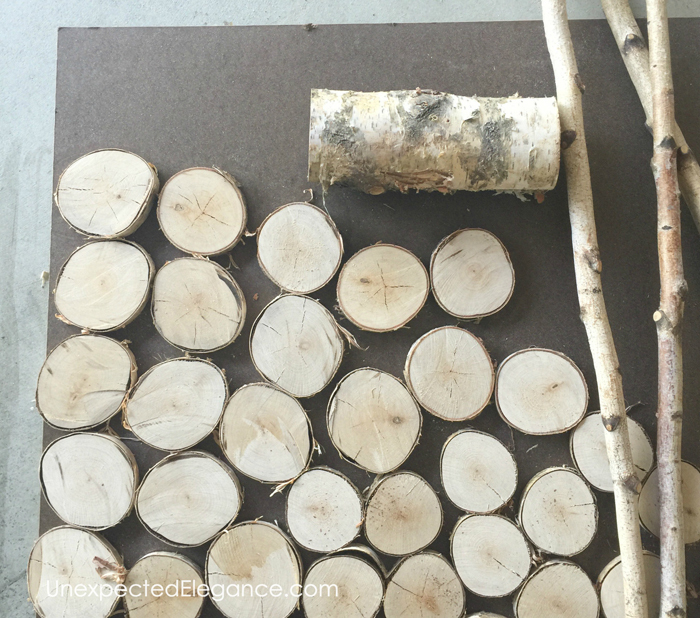 You will need to play with it until it looks right, but make sure to fill around the larger pieces (logs) with the smaller twigs. 4. 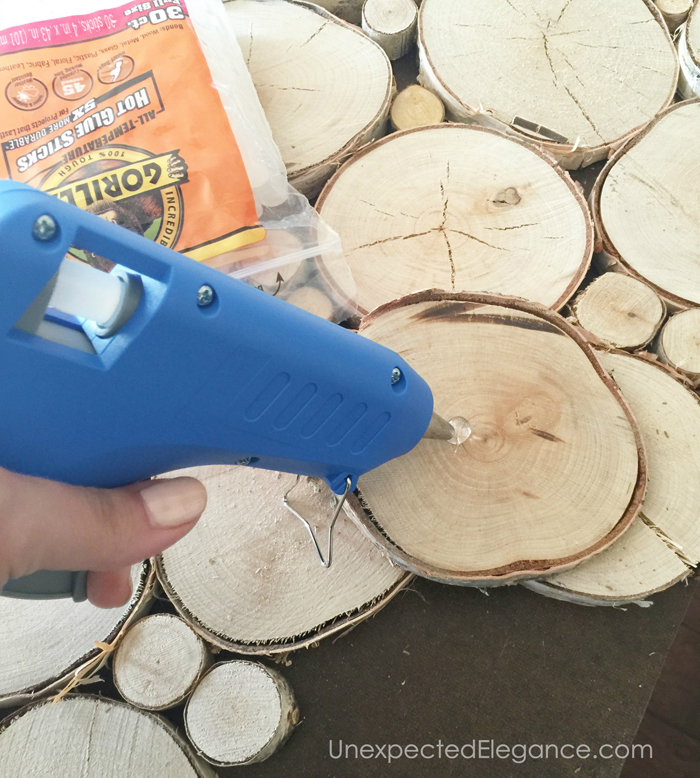 Once you have it set the way you want, heat up your glue gun. 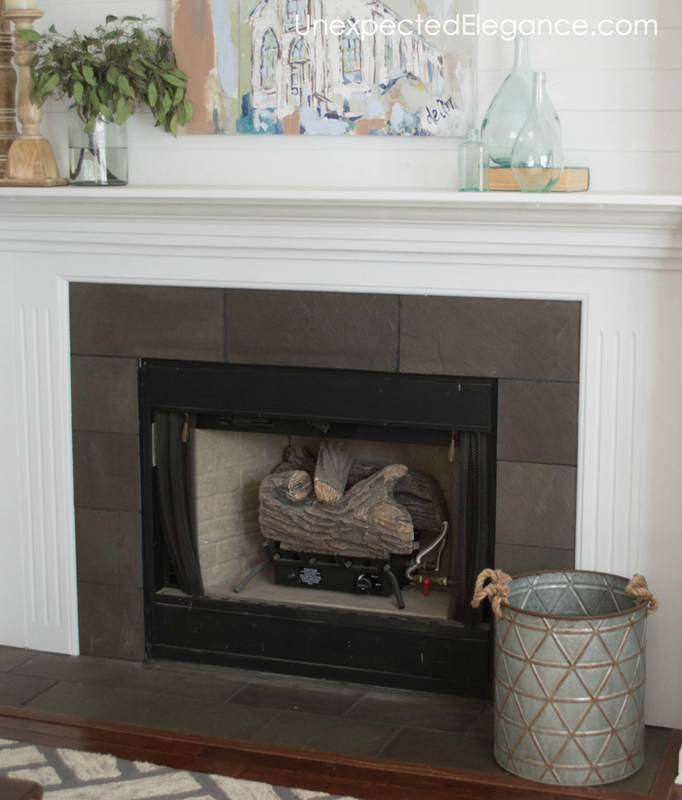 Use the Gorilla Hot Glue sticks to attach each piece to the masonite board, starting at the bottom and working your way up. I think it’s easier to just take one piece off at a time and glue them down individually. 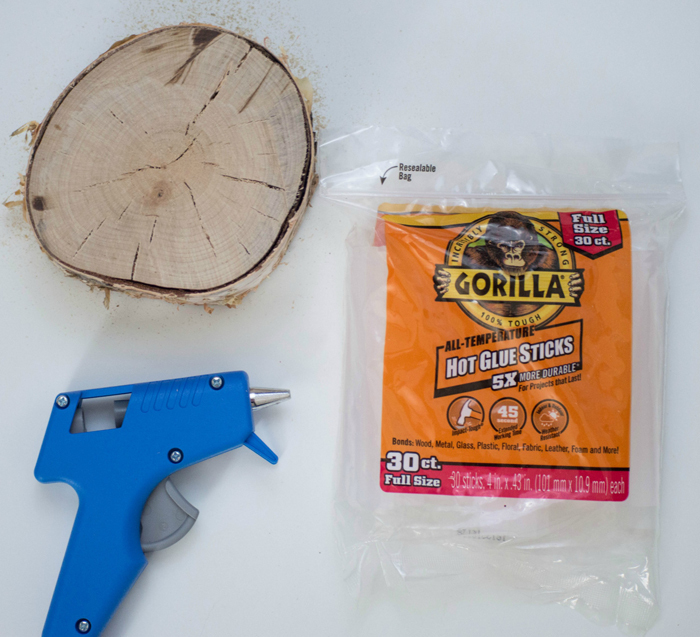 ALL TEMPERATURE- It’s safe for both high and low temperature glue guns, so no more buying special glue. 5. 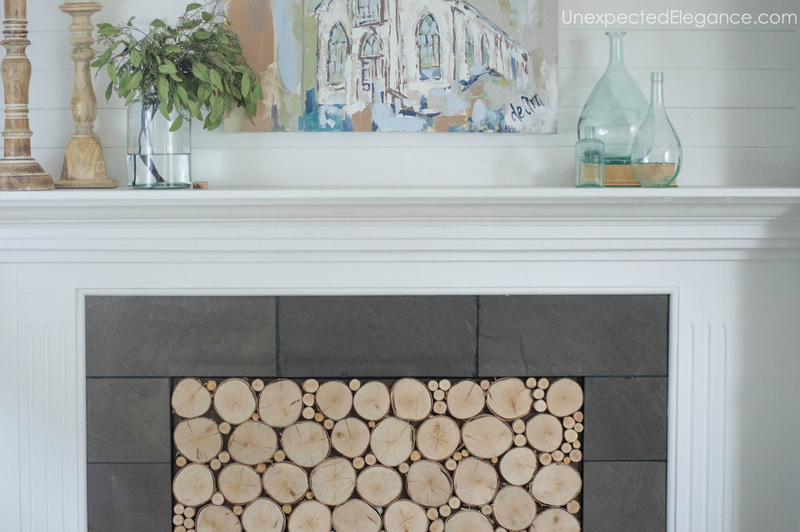 After you have everything glued down just pop the insert into your fireplace and you’re done. Tip: If you have a draft problem (like me) you can add some insulation behind the insert. When you need to remove it, drill a few screws through the wooden disks, and create handles to pull out the insert. So I’m taking bets…do you think this will solve my draft issue?? I’ll be sure to let you know this winter! I will be anxious to hear if it does solve your problem. It looks great and thanks for the tutorial. 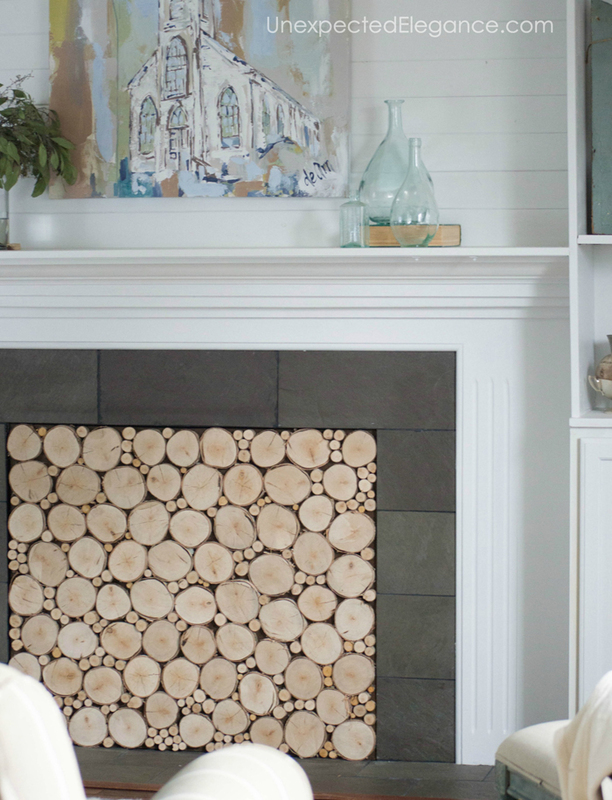 That woodstack fireplace insert is so amazing! 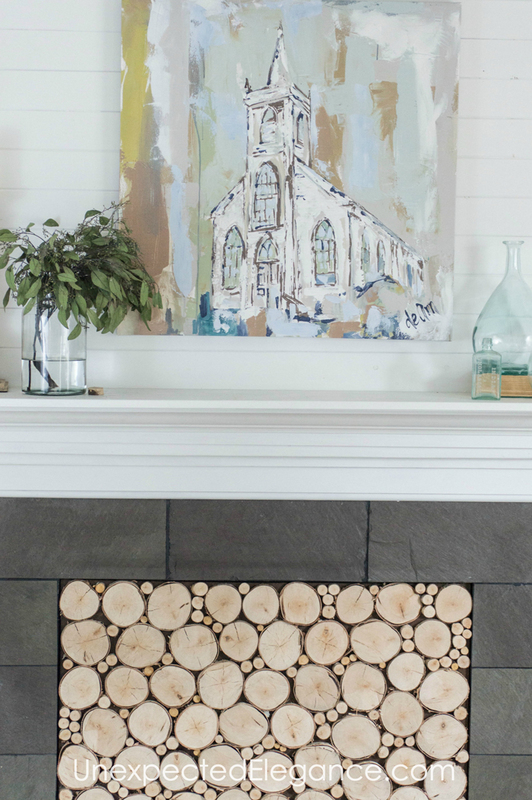 I love the painting above the fireplace. Where did you find it?